Tollywood Superstar Ankush, Om and soham worked their Previous film for Dhollywood Industry. 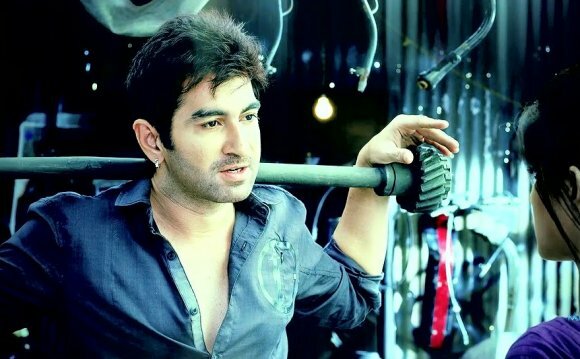 But now tollywood boss Jeet first time work with Bangladeshi film production house for Bangladeshi film. Indian Production company "Eskey Movies" and Bangladeshi Production Company "Jaaz Multimedia" again work together for this film with tollywood superstar Jeet. This movie name is "Badshah". Production Company already select Baba Yadav as a director from India. Bangladeshi Audience not happy for this news Because first time Dollywood Audience known that Jaaz Multimedia's Next film star cast is Jeet and Mahiya mahi. But Dollywood audience some upset for suddenly changing heroine for "Badshah"
"Badshah" movie music by kolkata and mumbai popular music director Jeet Gannguli and Emon Saha and background music by Emon saha. Tollywood Superstar Jeet very excited for this film because it's first film of Dollywood. Movie Shooting will started from 25th february 2016. It is Second film of Dollywood Newcomer Jolly. So, actress Jolly is so many excited for work with Superstar Jeet. Dollywood Actress Jolly say that "It is my big achievement because i work with Jeet." "Badshah" Movie shooting start from Bangladesh and Then Shooting will be start Ramoji film city of Hyderabad. At last full team will go to Australia for Movie's songs shooting purpose. Movie release at 2016. So, Tollywood and Dollywood Industry Audiences both excited for this Upcoming film "Badshah".